Comment: Hello. We are looking for a fence that outlines the perimeter of the small backyard we have. It will extend from the back of the house corner outward maybe 5 feet, go back about 75 feet and turn a corner to hit the detached garage about 5 -10 feet. Fence will pickup on other side of garage and do the same thing. Fence will be white pvc and continue to house. One gate. Ideal project start date is first or second week in April. Comment: vinyl fence 6 feet tall solid about 75 feet in back yard, no gates or other options. Comment: Need a fence for my new home. Brian P. Murphy & Associates, Inc.
Clarksburg Fence Contractors are rated 4.73 out of 5 based on 815 reviews of 37 pros. 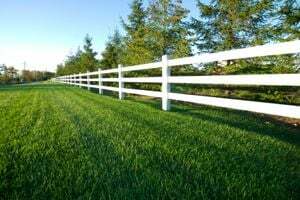 Not Looking for Fences Contractors in Clarksburg, MD?